Terry grew up on a farm on the cold plains of northern North Dakota. In fact the family farm is one mile south of the Canadian Border. He came to faith in Christ at the age of 15 when he called out to God in a time of crisis. God showed up in a dramatic way and the next night there was a Dr. Billy Graham Crusade being shown on television and Terry bowed his head and trusted in Christ. Long hours on the tractor doing field work were spent communing with God. Desiring to become a physician, Terry decided to go to Bible College for the first two years of his college life and then transfer to the University. However, once at St. Paul Bible College, he decided to finish his degree there and pursue medicine after he graduated from Bible College. He married his College Sweetheart, Sandie upon graduation from Bible College and they moved to Grand Forks, ND in order for Terry to do his Pre-med training at the University of North Dakota. While there in Grand Forks, Terry met a Dallas Seminary Graduate named Vic Luiken. Vic, along with several other people saw the “pastor-teacher” gifts in Terry and urged him to go to seminary instead of entering Medical School. When it came time to finally decide between seminary or medical school, Terry and Sandie knelt down by the couch in their basement apartment and sought God’s leading. He led them to Dallas Seminary. They spent 5 years studying at DTS and they also pastored a small Christian and Missionary Alliance church in Fort Worth for the last three years of seminary training. Upon graduation from Dallas (ThM) they entered the pastoral ministry. They pastored churches in Grand Forks, ND, St. Louis Park, MN and Bismarck, ND. 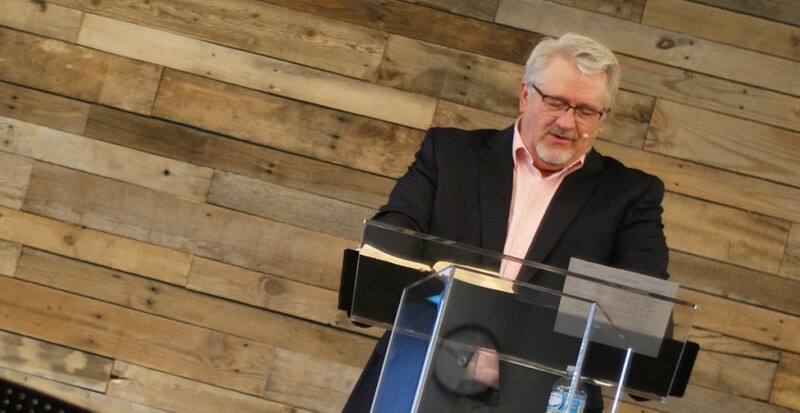 After nearly 20 years as Pastor of First Evangelical Free Church of Bismarck, Terry began to sense God giving him a vision for the development of seminary in the Northern Plains. Terry found a ‘kindred spirit’ in Dr. Jon Hanson and they began praying and pursuing the idea/vision. Northern Plains Biblical Seminary was born. While continuing his work at the seminary, Terry was invited to join Truth Fellowship Live after it became apparent that the population surge in the Bismarck/Mandan area was opening new avenues for ministry in this region. Terry’s amazing ability to teach and preach the Bible was a perfect match for the teaching-focused ministry of Truth Fellowship Live. Dr. Jon Hanson is the Executive Pastor of Truth Fellowship Live. He also serves as Chief Academic Officer and Professor at Northern Plains Biblical Seminary. The goal of NPBS is to bring theological education to the Northern Plains. Jon trusted Christ in the fall of 1971. Since then, he has attended a variety of Bible-teaching churches in North Dakota, Texas, Wyoming, and Colorado. He has helped plant three churches and he has served in a variety of ways in the Church including Eldership and teaching. Jon has a BS degree in Biology, an MS degree in Botany, and a PhD in ecological physiology. He also has a Certificate in Biblical Studies from Moody Theological Seminary and he is a Certified Instructor with EvanTell Ministries. Jon worked as a scientist for the USDA-Agricultural Research Service for more than 30 years. Prior to his retired in January 2010, he worked as a research scientist in Cheyenne, Wyoming and Fort Collins, Colorado before becoming the Laboratory Director of the Northern Great Plains Research Laboratory. Jon currently lives in Bismarck, ND with his wife Phyllis. They have been married for over 40 years and have three children (one boy and two girls) and five granddaughters.